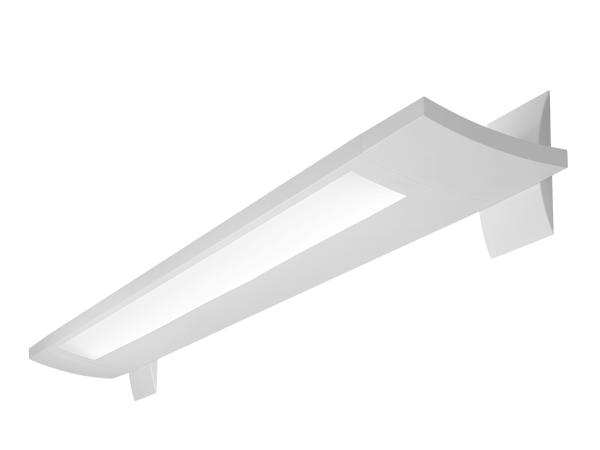 Suspended linear indirect/direct LED luminaire with frosted lens or radial baffle option. 70/30 or 40/60 indirect/direct optics. One-piece steel housing with 5” die-cast end caps. Available in 4’ and 8’ lengths; can be row-mounted for applications requiring longer continuous runs. Optional dust cover may be specified to help simplify maintenance and cleaning of luminaire. Wall mount companion also available. 70/30 light distribution for applications requiring even ceiling uniformity, wide fixture spacing, and high levels of direct illumination. 40/60 indirect/direct option for open ceiling installations. 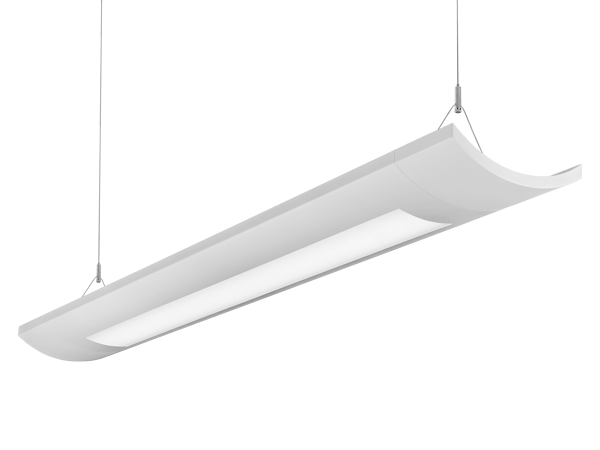 May be specified up to 1250 lumens per foot, making Verve IV extremely versatile, even for high ceiling applications. Verve’s classic design and soft curved profile is ideally suited for commercial office and educational facilities.